The BBC’s iPlayer is one of the most popular web based video services available, allowing users to watch a range of TV programs for free on their computer and a range of gaming consoles. Microsoft [MSFT] has just launched a new video service that will let users watch free TV pro grammes in a bid to take on the BBC’s iPlayer, the MSN Video Player. 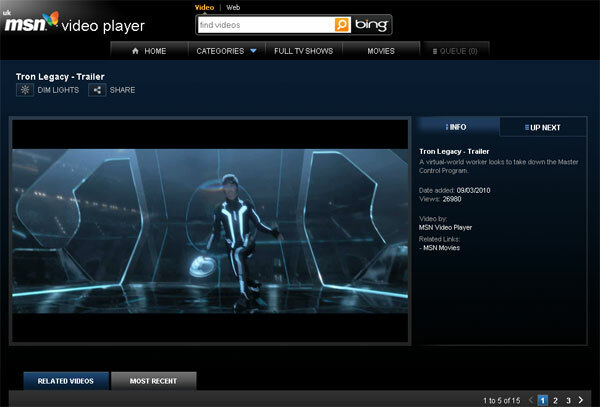 The MSN Video Player is free, but people who use the service will have to watch a 30 second advertisement, before, during and after the program. To be honest that doesn’t sound to bad. The MSN Video Player is launching in the UK, initially, there are no details on when it will be available in the US and the rest of the world, as soon as we find out more details we will let you guys know.